The Saywell Prize is made possible by the generosity of his family and friends, to recognise the outstanding contribution to Canadian political and legal history of Professor Saywell. Among his other work Professor Saywell is the author of The Law Makers: Judicial Power And The Shaping of Canadian Federalism, published by the Osgoode Society in 2002. The Saywell Prize is given bi-annually to the best new book in Canadian legal history, broadly defined, that makes an important contribution to an understanding of the constitution and/or federalism. In exceptional circumstances, the jury could also consider a seminal article or series of articles, some of the latter not written in the two-year period, to satisfy the objectives of the award. The Saywell Prize will be awarded in 2018, for a book published in 2016 or 2017. The deadline for nominations is May 15, 2019. Please email nominations to j.phillips@utoronto.ca. (University of British Columbia Press, 2009). The R. Roy McMurtry Fellowship in Legal History was created in 2007, on the occasion of the retirement as Chief Justice of Ontario of the Hon. R. Roy McMurtry. It honours the contribution to Canadian legal history of Roy McMurtry, Attorney-General and Chief Justice of Ontario, founder of the Osgoode Society for Canadian Legal History and for many years the Society’s President. The fellowship of $16,000 is to support graduate (preferably doctoral) students or those with a recently completed doctorate, to conduct research in Canadian legal history, for one year. Scholars working on any topic in the field of Canadian legal history are eligible. Applicants should be in a graduate programme at an Ontario University or, if they have a completed doctorate, be affiliated with an Ontario University. The fellowship may be held concurrently with other awards for graduate study. Eligibility is not limited to history and law programmes; persons in cognate disciplines such as criminology or political science may apply, provided the subject of the research they will conduct as a McMurtry fellow is Canadian legal history. The selection committee may take financial need into consideration. Applications will be assessed by a committee appointed by the Osgoode Society for Canadian Legal History. Those interested in the 2019 fellowship should apply by sending a full c.v. and a statement of the research they would conduct as a McMurtry fellow to Amanda Campbell, McMurtry Fellowship Selection Committee, Osgoode Society for Canadian Legal History, Osgoode Hall, 130 Queen Street West, Toronto, M5H 2N6. Or to amanda.campbell@osgoodesociety.ca. The deadline for applications is May 15, 2019. 2018-Chandra Murdoch, a PhD student in the History Department at the University of Toronto who is working on the application of the first Indian Act (1876) in Ontario. 2018-Daniel Murchison, a PhD student in the History Department at York University, who is working on the effects of legal change on land-holding and family structure among the indigenous peoples of the Red River valley. 2016 – Jacqueline Briggs, a doctoral student in Criminology at the University of Toronto, for work on aboriginal peoples and criminal justice. 2015 – Elizabeth Koester, a doctoral student in history at the University of Toronto, for work on eugenics in twentieth century Ontario. 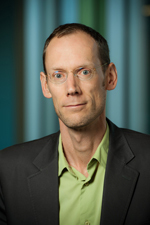 2013 – Edward Cavanagh, a PhD student at the University of Ottawa, is working on the history of chartered companies in Canada, with specific reference to their role in land settlement and the development of doctrines related to aboriginal dispossession. 2013 – Joseph Dunlop, who recently obtained his PhD from oxford, will be a fellow and Emanuel College, University of Toronto, working on the role played by Catholic politicians in the various law reforms related to sexuality of the 1960s and 1970s. 2012 – Patrick Connor, a post-doctoral student in history at York University, for work on a history of crime and punishment in Upper Canada. 2011 – Daniel Rueck, a research associate at the University of Western Ontario, for his post-doctoral work on land use and allocation on Mohwak reserves. 2010 – Claire Mumme, a doctoral student in legal history at Osgoode Hall Law School, York University, for a project on The History of the Contract of Employment in Twentieth Century Canada. 2010 – Stacey Alexopoulos, a doctoral student in the Department of History, York University, who is writing a thesis on the development of property rules governing housing on aboriginal reserves since 1951. 2009 – Mary Stokes, a doctoral student in legal history at Osgoode Hall Law School, for a study of municipal law in nineteenth-century Ontario. 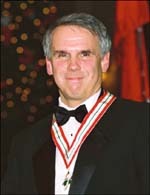 The Peter Oliver Prize in Canadian Legal History was established by the Society in 2006 in honour of Professor Peter Oliver, the Society’s founding editor-in-chief. The prize is awarded annually for published work (journal article, book chapter, book) in Canadian legal history written by a student. Students in any discipline at any stage of their careers are eligible. The Society takes a broad view of legal history, one that includes work in socio-legal history, legal culture, etc., as well as work on the history of legal institutions, legal personnel, and substantive law. Students may self-nominate their published work, and faculty members are also encouraged to nominate student work of which they are aware. Those nominating their own work should send a copy of it to the Society. The deadline for nominations for the 2019 Prize, to be awarded for work published in 2018, is May 15, 2019. Please send nominations to Professor Jim Phillips, Editor-in-Chief, Osgoode Society for Canadian Legal History, Osgoode Hall, 130 Queen Street West, Toronto ON M5H 2N6, or by email to j.phillips@utoronto.ca. 2018-David Sandomierski,‘Tension and Reconciliation in Canadian Contract Law Casebooks,’ in (2017) 54 Osgoode Hall Law Journal 1181. 2015 – Tyler Wentzell, ‘The Court and that Cataracts: The Creation of the Queen Victoria Niagara Falls Park and the Ontario Court of Appeal,’ Ontario History, vol 106, 2014. 2012 – Edward Cavanaugh, ‘A Company with Sovereignty and Subjects of Its Own? The Case of the Hudson’s Bay Company, 1670-1763’, Canadian Journal of Law and Society, Vol 26, 2011. 2010 – Bradley Miller, ” ‘A Carnival of Crime on our Border:’ International Law, Imperial Power, and Extradition in Canada, 1865-1883,” Canadian Historical Review, vol 90, 2009. 2009 – Myles Leslie, “Reforming the Coroner: Death Investigation Manuals in Ontario, 1863-1894,’ Ontario History, vol 100, 2008. 2008 – Eric Adams, “Canada’s ‘Newer Constitutional Law’ and the Idea of Constitutional Rights,” McGill Law Journal, vol 51, 2006. The Society, in co-operation with Canadian law schools, offers an annual book award to a graduating student deemed to have done excellent work in legal history. The Society provides one book from its back list and also a current membership, including the annual publication, to such a student in each participating Canadian Law School. Law Society Of Upper Canada/Osgoode Society Award Of Excellence. Since 2000 the Law Society and the Osgoode Society have presented Osgoode Society memberships to the top 15 graduating students in each of Ontario’s law schools.